Resolving the traffic congestion at the Malaysia-Singapore Causeway and Second Link is a priority for Malaysia, Prime Minister Tun Dr Mahathir Mohamad said today. He said the issue remains a major problem for Malaysia and Singapore commuters. “Currently, about 250,000 to 300,000 people are crossing the causeway on a daily basis. Resolving the congestion is a priority for Malaysia,” he told a joint press conference with Singapore Prime Minister Lee Hsien Loong after the conclusion of the 9th Malaysia-Singapore Leaders’ Retreat, here. Dr Mahathir said Malaysia and Singapore were committed to addressing the issue and will continue to explore new initiatives to tackle the problem. Lee, meanwhile, said Dr Mahathir had pointed out that the Johor Bahru-Singapore Rapid Transit System (RTS) Link would not solve the problem for motorcyclists crossing the Singapore-Malaysia border and hence, there is a need to expand the capacity of the Customs, Immigration and Quarantine (CIQ) facilities on both sides. Separately, Malaysia and Singapore have agreed to find an amicable solution to the issue over the supply of water between the two countries, Dr Mahathir said. The effort will include the possibility of dispute resolution through arbitration on a mutually agreed basis. He told a packed joint press conference the water agreement between the two countries was among the issues discussed with Lee in their talks. 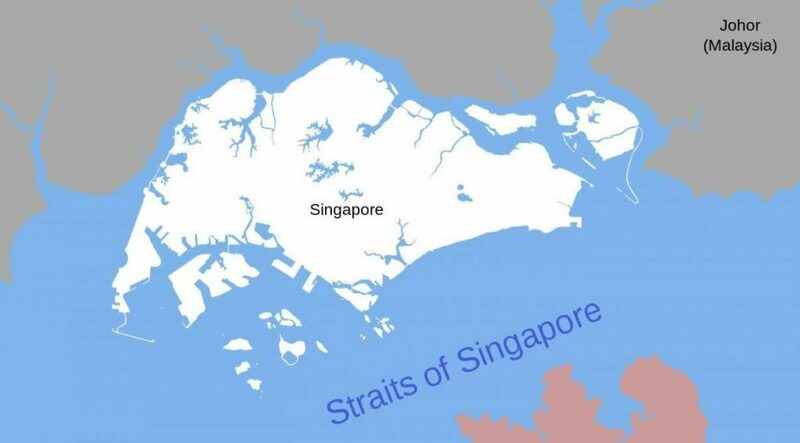 The 1962 Johore River Water Agreement, which expires in 2061, requires Malaysia to supply Singapore with 250 million gallons of raw water per day at three sen per 1,000 gallons. Malaysia purchases a portion of the treated water at 50 sen per 1,000 gallons. “We were engaged in active negotiations on the review in the late 90s and early 2000s,” Dr Mahathir said. The issue of the water agreement cropped up in the middle of last year after Dr Mahathir pointed out the price of raw water supplied to Singapore “did not make sense” and said he planned to negotiate a review of the terms. Lee, meanwhile, said it was in the interest of the two countries to work together to ensure sustainable water supply for both sides – which would reduce the potential for further conflict in the future. He, however, raised Singapore’s concerns about the recent water pollution in the Johor River and the long-term water yield. He said just last week, the Singapore Public Utilities Board (PUB) waterworks at Kota Tinggi was forced to shut down because of high ammonia level and the source was traced to a palm oil mill in Sedenak, Johor. He also said that if the Johor River suffers an incident like the one at Sungai Kim Kim recently, it “will be disastrous”. Many people had to be treated at hospitals following the pollution of Sungai Kim Kim in Johor early last month due to the dumping of chemical waste in the waterway. Lee said although Singapore’s position was that Malaysia has lost its right to review the price under the water agreement, the two leaders agreed their respective attorney-generals (AGs) will meet in November to understand each other’s legal position on the right to review. On the long-term water yield, Lee said Johor has built water plants on the Johor River upstream of the PUB waterworks at Kota Tinggi, and the combined amount that these plants draw may well exceed the river’s sustainable yield.